From infancy to adulthood, the body undergoes several dramatic changes. You get taller, your voice changes, you name it; the body is an incredibly complex organism. However, it’s common that between the ages of 17 and 21, two pairs of teeth known as wisdom teeth will appear in the back of your mouth. This may cause your mouth to become overcrowded leaving the rest of your teeth at risk. The good news is this is a pretty common occurrence, so wisdom tooth removal in Mount Holly is available if needed. Wisdom teeth are classified as evolutionary relics, or parts of the body that were used many generations ago that are no longer needed. Our distant ancestors’ diets regularly consisted of rougher foods like sticks, nuts, and reed plants, and wisdom teeth acted as backups in case other teeth fell out while consuming those foods. Thanks to advancements in oral hygiene and higher accessibility to softer foods, these teeth have become essentially obsolete. Many people’s mouths can only hold up to 28 teeth, but with 4 new teeth growing in it brings the total to 32, causing the mouth to become overcrowded and usually requiring oral surgery. What Are The Risks of Not Removing My Wisdom Teeth? Wisdom teeth are known for causing oral complications, which is why it’s so common for people to remove them. As they begin to erupt, bacteria can enter through the now-opened tissue, resulting in an infection. As they continue to erupt, the teeth will begin pressing on your nerves, bone, and other teeth causing more pain. It’s also possible for wisdom teeth to become impacted, which is when the jaw bone and neighboring teeth block your wisdom teeth from erupting further. Even though they are blocked from growing, this doesn’t stop their roots from elongating, causing additional oral problems. Impacted teeth are also more prone to developing pockets of fluid around them called cysts, which can damage your surrounding teeth. 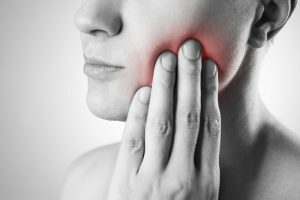 The signs of erupting wisdom teeth are well noticeable and should any of the following symptoms appear, contact your dentist as soon as possible. If you are between the ages of 17 and 21 and experiencing these symptoms near the back of your mouth, you may need to schedule a wisdom teeth removal treatment with your dentist. Wisdom teeth can do severe damage but only if left untreated for too long. Ask your dentist in Mount Holly about their wisdom tooth removal treatments the moment you notice symptoms. Mt. Holly Family Dentistry’s professionals sees themselves as patients just as much as their clients do, which is why they have such a strong focus on making every treatment as convenient, comfortable, and quick as possible. Their top goal is more than just fixing dental problems, but establishing a lifelong plan to maintain patient confidence and smiles for years to come. To learn more about the practice and its wisdom tooth removal, contact them at (609) 267-3230 or visit their website.